Crazy times! 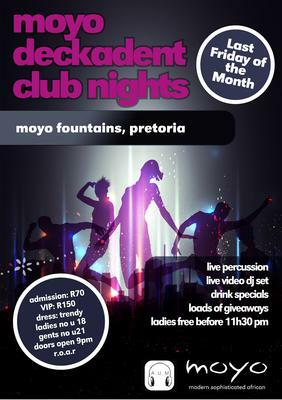 Big Parties in Pretoria going down. We present the final party 2012 with the best DJ's around. Also featuring the launch of eight trakk music! Free giveaways to the sexiest black dresses. drinks specials. on heck of a party!